What if the NC&StL expanded? This was originally posted in the MR forum, but I've sinced moved it the hopes of getting more responses. The Nashville, Chattanooga & St. Louis Railway was one of the premier railroads of the South, but was left a surrogate of the larger Louisville & Nashville Railroad after the latter's hostile takeover in 1880. If the L&N had failed to acquire a controlling interest in the NC&StL, how could the latter have expanded? Assuming it still manages to lease the Western & Atlantic, what other smaller systems could it have gained control over to get to cities such as St. Louis (so they could finally live up to their name)? What if Lincoln was not assassinated? Reconstruction takes on much different form. Lincoln would definitely not have been as lenient as Johnson, but neither would the South have been put under military rule. Overall, I think the outcome would probably be better for freedmen in the long run, and likely poor whites as well. Joking aside, are "what if" questions frowned upon here? It's less a "what if" question than a straight forward question, what other smaller systems could the NC&StL have acquired to reach St. Louis? Interesting question. Surely there is some expertise on the Classic Trains forum that can identify some smaller roads that could have permitted the NC&StL to actually reach St. Louis. I do love listening to stories about "smaller" railroads. Coincidently I am collecting photos of NC&StL's 4-8-4s recently. Ah, the Yellow Jackets! It isn't much of a surprise given my username, but they're my favorite class of American steam engine. I'd like to see how they stacked up to the 4-8-4's of other railroads, like the NYC and N&W. I'm trying to get the font on my posts to match the rest, what's the default font? I'd like to see how they stacked up to the 4-8-4's of other railroads, like the NYC and N&W. You'll get to see, firsthand, in fairly short order. Wish I could have been at the party Saturday. Keep in mind that these were comparatively small locomotives, not really requiring something with a four-wheel trailing truck except for weight distribution. They also were built without advanced high-speed motionwork and balancing, which for example permitted the 70" J class to run over 100mph safely, or the Niagara to exceed the performance of its near-sisters on roads like Rock Island or the D&H. They are, however, 'rightsized' both for Dixie Line traffic and for potential excursion service, where most alternative 4-8-4s would be too large. Any railroad savvy enough to have a 'duplicated' crownsheet level line to indicate safe water level on a 2% grade has my respect for sensible operation of locomotives. With regard to expansion of the NC&StL, I think the approach so far is correct in that the 'counterfactual' reasons leading up to that road not being acquired by L&N ... then, or in any following years ... need to be fully and carefully defined. Some later history (for example, the ICC wouldn't even be established until 1887, let alone the nightmare of overregulation it became after the Federal Control years) would also affect how NC&StL would choose to grow, and remain either independent or the 'surviving entity' in future mergers or consolidations. So, after chatting with some users, members of the NCPS, and consulting Richard E. Prince's and Dain Schult's books on the NC, I think I might have a plausible scenario figured out. In the late 1870s, he NC&StL was trying to get a hold of the Illinois and Indiana divisions of the St. Louis & Southeastern Railway (between St. Louis and Evansville), and the Owensboro and Nashville Railroad (between Owensboro and Adairville, but trying to get to Nashville). They were very close to achieving their goals, when the L&N managed to swipe it all out from under them. Let's say the NC&StL manages to absorb the Illinois and Indiana divisions of the StL&SE while the L&N takes the Kentucky and Tennessee divisions. The NC&StL does the same with the O&N. The NC&StL now has to finish the O&N to Nashville, and connect Evansville with Owensboro. 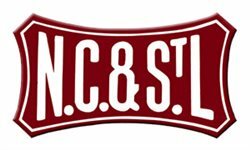 The L&N may get trackage rights to St. Louis over the NC&StL, and the NC&StL could in turn get trackage rights to Louisville (whether over the L&N Louisville-Nashville route, or the Henderson Route if the L&N still acquires it). 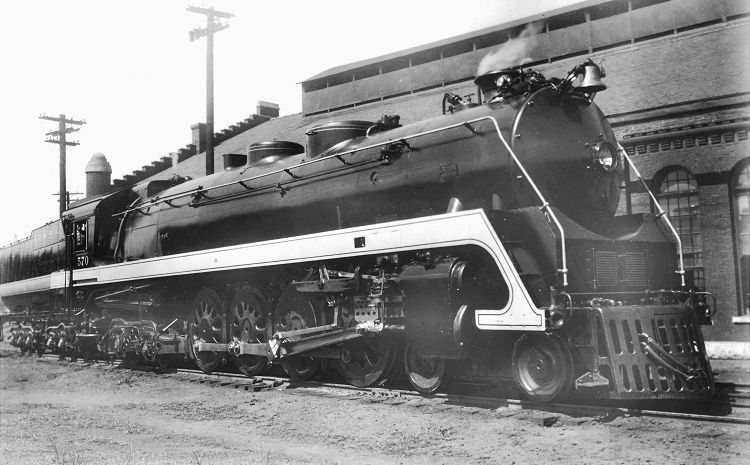 The NC&StL was also in talks with the Central RR and Banking Company of Georgia (later the Central of Georgia), and maybe they can either absorb it, acquire a controlling interest in it, trackage rights to Savannah and/or Columbus, or something of that nature, depending on what the ICC says.